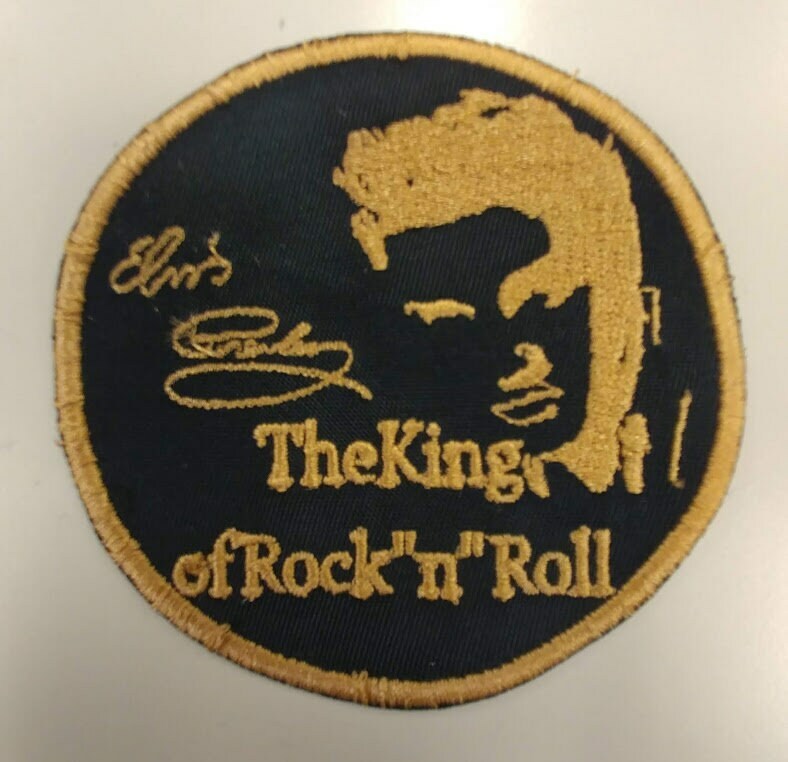 This design is sewn with gold thread onto a black patch background. 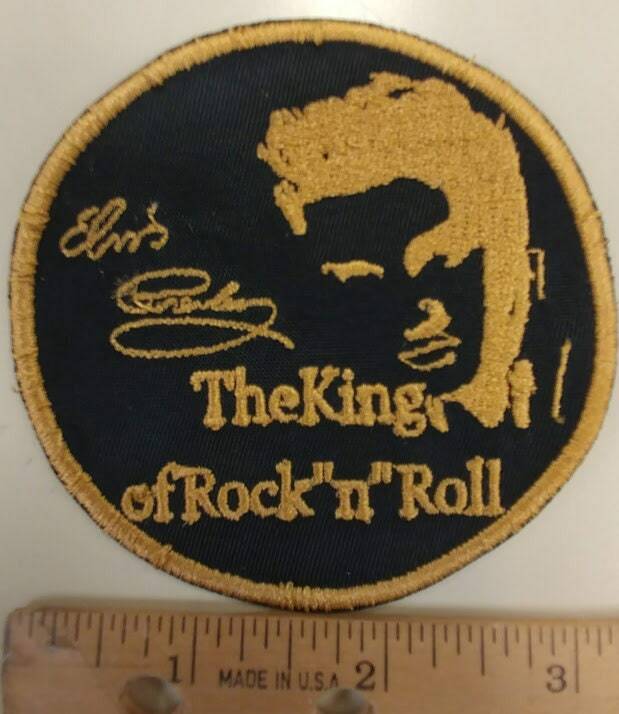 Elvis and music fans will love this patch to add to their collection or memorabilia. 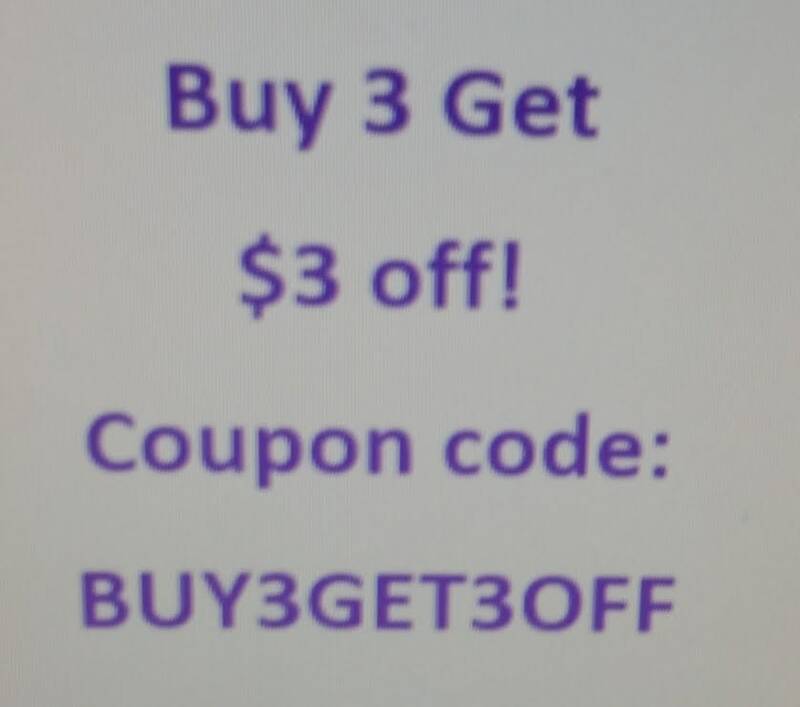 It measures approximately 3" in diameter and has an iron on adhesive to help with application.